I have built a couple of Bluetooth Speakers and really have enjoyed them to connect to my phone. 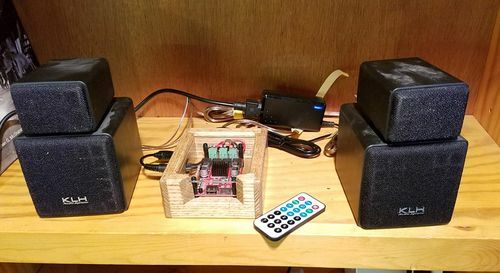 I needed one more and decided to just build a bluetooth amplifier enclosure and utilize some speakers I had sitting around. This is my new setup for my den. 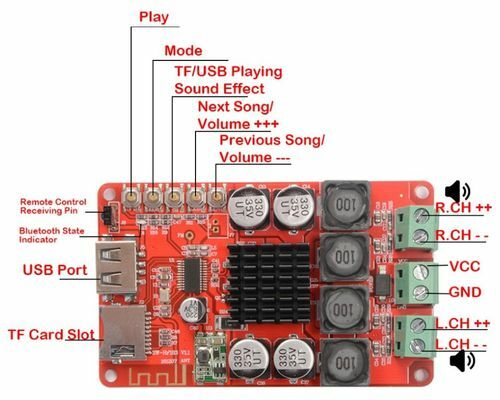 The board also has the ability to take a memory card or USB stick with your tunes on it. 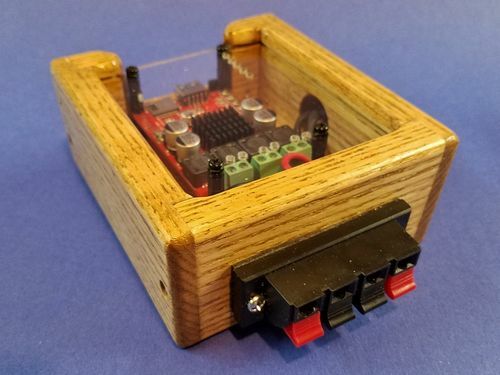 I built and enclosure for it out of Ash with a plexiglass top which included holes to access some of the connections. The front is open to allow for the remote control to access the sensor. 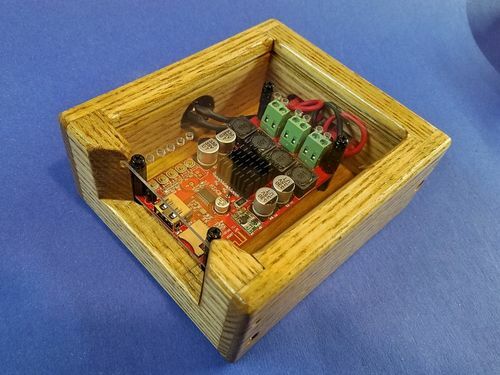 The plexiglass, 1/8” plywood bottom, and circuit board are connected using small plastic standoffs. On the back, I added the strip for connecting the speaker wires. The power supply is just a power brick and can be from 8 to 26 volts and I bought it on Ebay for about $5. There is a connection jack on the side to plug the power supply in. Overall, the unit works very well with the remote control and it sounds good to me but my hearing is not what it used to be.